Qualified Medicare Beneficiary, or QMB, pays most of your out of pocket costs, including deductibles, copays and premiums for Medicare Part B, and the premium for Part A, if you have one. If you qualify for the QMB Medicare program, you are also automatically eligible for the Extra Help program for prescriptions. Specified Low-Income Medicare Beneficiary, or SLMB, pays your Part B premium, adding up to $134 a month to your Social Security check. It also automatically qualifies you for Extra Help. Qualified Individual, also known as QI or ALMB, offers the same benefits as the SLMB Medicare program, but you can qualify for benefits with a higher income. Qualified Disabled and Working Individual, or QDWI, pays the monthly Part A premium for a qualified individual with a disability or another individual who is working and ineligible for free Part A coverage. Am I eligible for MSP Medicare? QMB — less than $1,025 in monthly income, or $1374 for a couple. QI — less than $1,377 for an individual or $1847 for a couple. QDWI — less than $4,105 for an individual or $5499 for a couple. Even if your income is low enough, you cannot qualify if you have too many assets, such as bank accounts, investments, and retirement accounts. Some assets aren’t considered when calculating eligibility, including your house, car, furniture, personal possessions, and burial plot. To qualify for QMB, SLMB and QI, you cannot have more than $7390 in assets ($11,090 for a couple). To qualify for QDWI, your assets must be less than $4000 for an individual ($6,000 for a couple). Because these programs are administered at the state level, different states may calculate income, assets and eligibility somewhat differently. The Medicare Extra Help Program helps pay prescription drug costs under Medicare Part D. Eligibility depends on your income level and your assets. If you qualify for QMB, SLMB or QI, you automatically qualify for Medicare Extra Help too. You may also qualify for Extra Help with Medicare in 2018-2019 if your income is less than $18,090 for an individual or $24,360 for a couple. Reduce your out of pocket costs for prescription drugs. If you qualify for full benefits, you won’t pay more than $8.35 for a brand name drug and $3.35 for a generic. If you qualify for partial benefits, you will often pay a reduced price for prescription drugs. Eliminate your monthly Part D premiums. Eliminate your annual Part D deductibles. Eliminate the coverage gap, also known as the “donut hole.” This means your prescriptions won’t cost more just because you went over a spending limit in a certain year. If you qualify for a Medicare Savings Program or Extra Help, you’ll save money on your out-of-pocket Medicare costs. To save even more, you can add supplemental coverage to your Medicare Parts A and B coverage. For example, if you qualify for the SLMB or QI program, the program will pick up the cost of your monthly premium for Part B. If you also sign up for the most affordable Medicare Supplement plan, High Deductible Plan F, the most you’ll usually pay is the annual deductible – Medigap will pick up just about everything else. 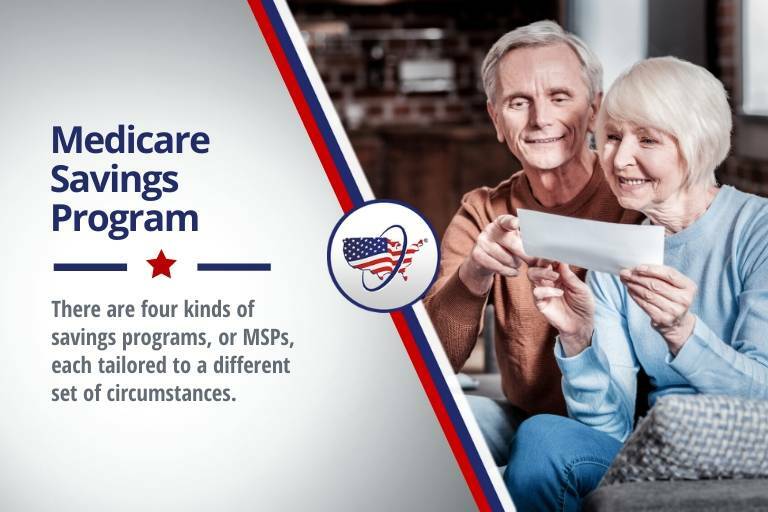 Pairing a Medicare Supplement plan with your Medicare Savings program is a good way to protect yourself from high medical bills because of a chronic condition or unexpected illness or accident. At MedicareFAQ, we can help you find the best Medicare Supplement policy for your situation and your budget. Compare rates online now, or call the number above to speak to a Medicare agent.